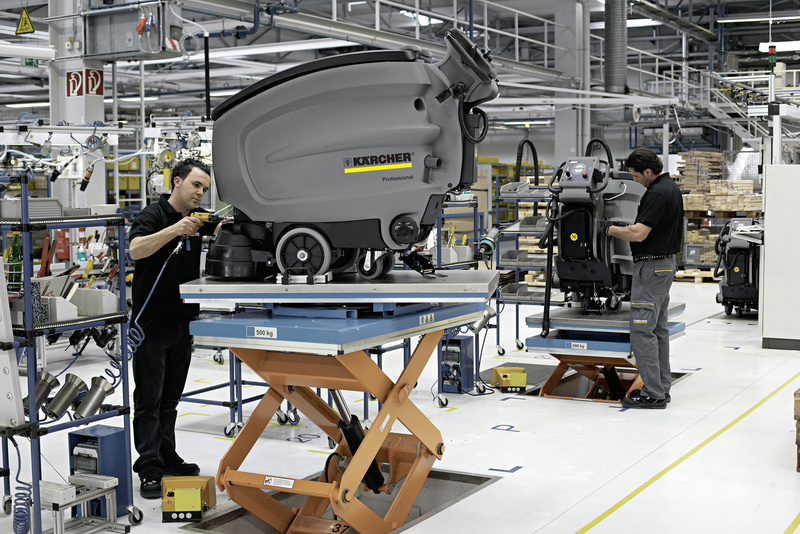 BR 30/4 C + MF 17832230 https://www.kaercher.com/ge/professional/floor-scrubbers-scrubber-dryers/scrubber-driers/walk-behind-scrubber-driers/br-30-4-c-mf-17832230.html The BR 30/4 C scrubber drier is light and compact – weighing only 11.5 kg, this highly innovative and powerful vacuum is ideal for cleaning hard surfaces from 20 to 200 m² as the perfect alternative to manual cleaning. Floors are immediately dry and non-slip after cleaning. Ideal for cleaning of smaller shops, restaurants, petrol stations, supermarkets, sanitary areas, hotels and snack areas or as a supplement to an existing scrubber drier. The roller brush also cleans structured surfaces and crevices. Roller assists forward movement for easy cleaning. The soft suction lips remove moisture – backwards and forwards. 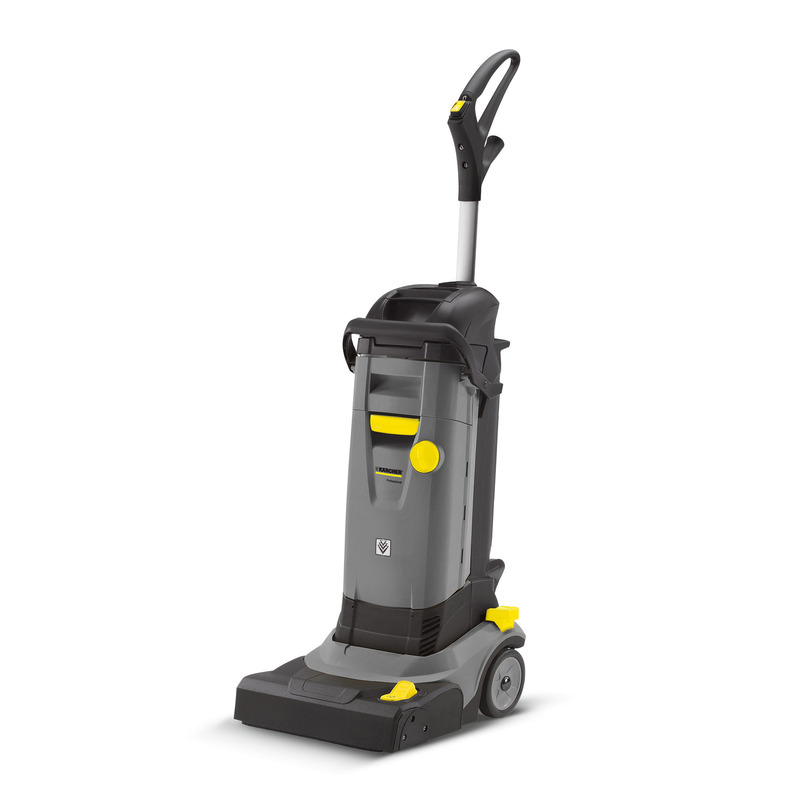 For intensive cleaning, the suction can be switched off via the foot pedal. Cleaning fleet can be applied and then suctioned for deeper cleaning. The handy fresh water tank can be removed and filled in small sinks. The dirty water tank can be removed separately and, for example, be emptied in the sink. Tanks can be removed separately or together. Includes handle for easy transport.